Obviously, you can see what’s solid, and what’s not. But, there are other ways to make this distinction. 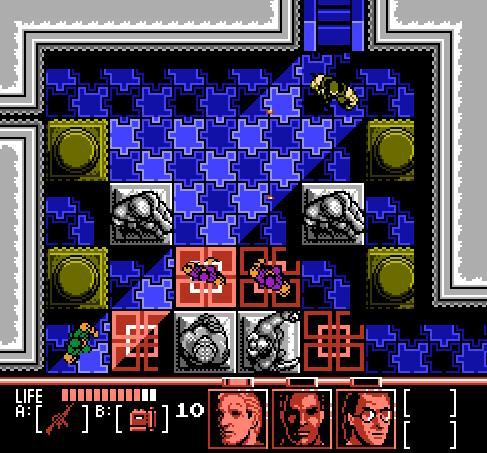 In this example, the noisy texture of the glass tiles sets them apart from the solid background. 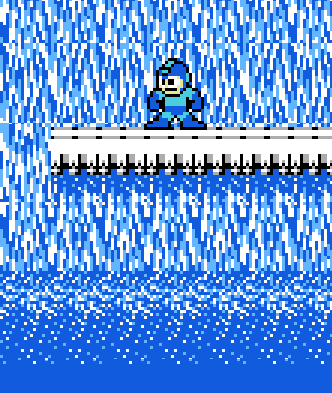 The waterfall is a torrent of bright colors, so the solid platform has to be even brighter, mostly pure white. 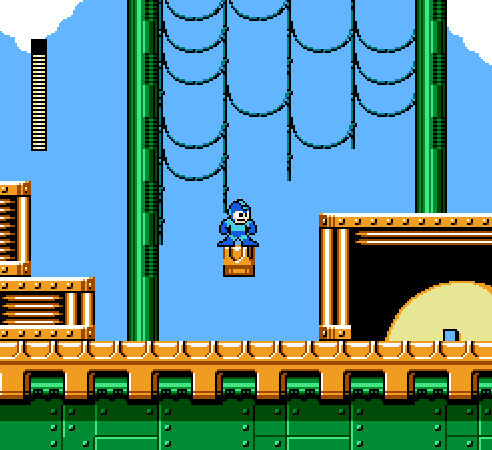 Mega Man is almost the same blue as the background, but stands out because in this case, he is darker. 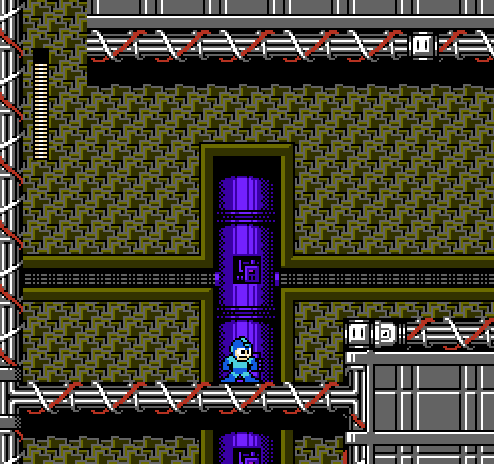 Kinda pushing it here… Everything is blue. 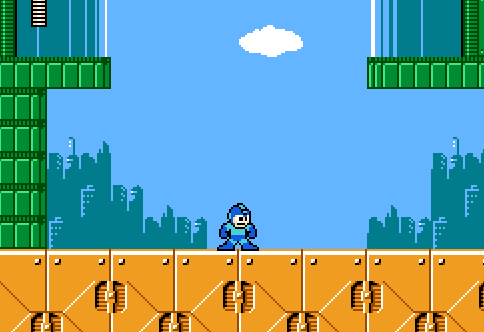 The platforms are bright enough to stand out, but Mega Man is almost lost in the background. Interesting use of color. 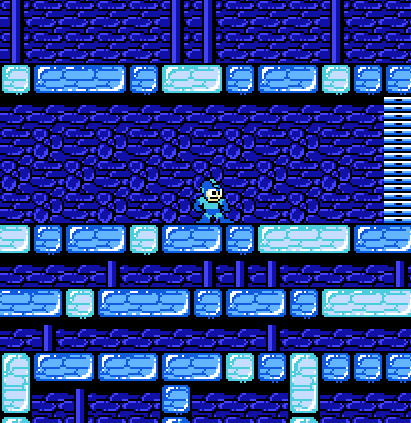 Lots of black pixels in this image, but the platforms have the brightest colors, and stand out. These are tricky — orange blocks are solid (they have bright highlights), green are background. 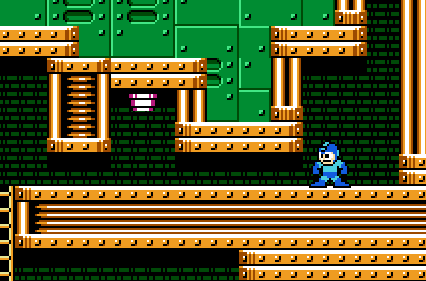 They introduce this concept earlier in the level, too. I love the geometry and the crafty use of shadows. Almost every tile uses 4 shades of one particular hue, and the effect is striking. 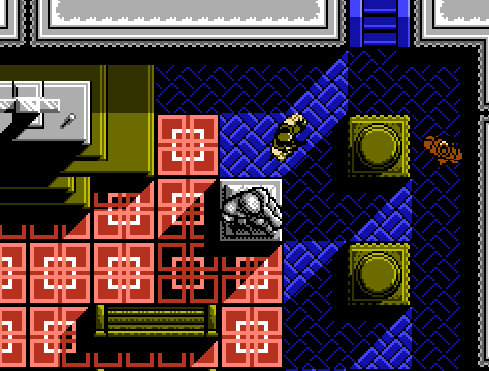 And again, the most significant objects have the brightest highlights (your character, the solid crates, the medical kit). More shadows, with varying lengths (compare the bench to the statue). This image uses a mere 14 colors, which surprises me. 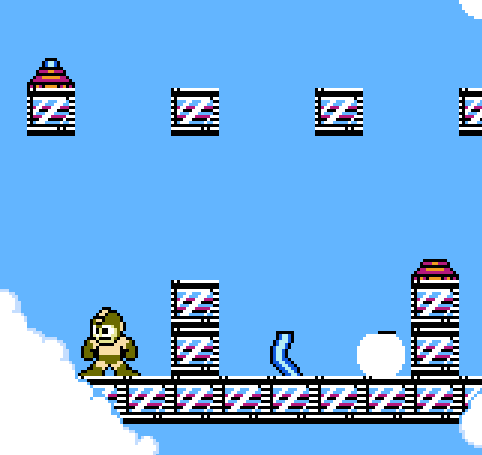 This entry was posted in Games and tagged color, nes, nintendo, pixel art by Zach. Bookmark the permalink. 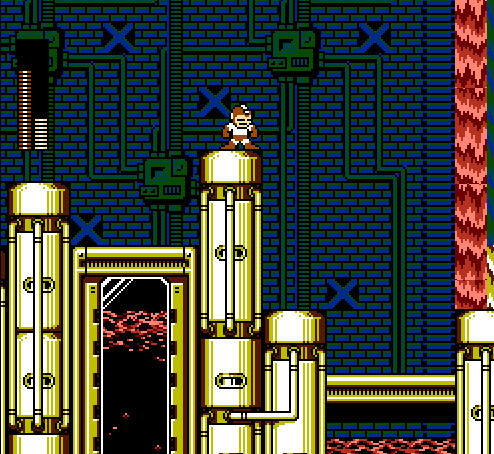 I really like the technics, that used in NES games. They try to make possible the best. I really like these shading techs. I feel the same… It’s a great example of using limited resources to their fullest. 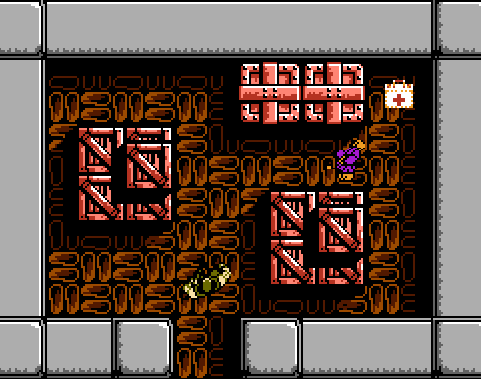 Especially considering the limited amount of tiles one can use in the NES PPU.